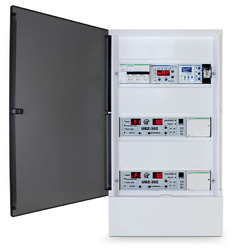 PLC System for Substation Automation. 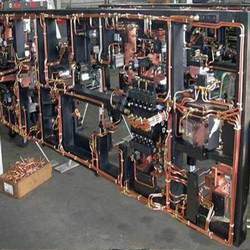 Our organization is highly rated in offering Industrial Automation System to our clients. It is known for its excellent quality and high performance. It is also applicable in different industries and experts can also do erection and maintenance. OMRON PLC, HMI , VFD, ALL SENSORS, SERVO MOTOR & SERVO DRIVE, ENCODERS & ALL AUTOMATION PRODUCTS AVAILABLE. - power supplies allow dc safety devices to function in ac environments. - psdina-24 din-mountable power supply converts 115/230v ac voltage to 24v dc for powering dc devices. - ac interface boxes connect ez-screen safety light screens and ez-screen grids and points to ac power. The IOTSPACE Company launched a product series "BTON". The functional goal of our Company is to help people which will not only Save Power but will set a New Status to Home. It can Dim your Lights Manually & Automatically and will Set the mood of Home. We can have Luxurious Impact in Our Lifestyle. Vertex Automation System Pvt. Ltd.